This purchase was made possible, in part, by a generous donation from the great-great-grandson of the famous naturalist after whom the property is now named. 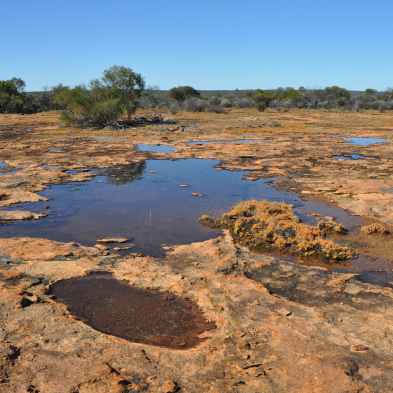 Its high conservation value results from it being located at the junction of major landforms, ecosystems and climates known as the Mulga-Eucalypt line where, in effect, the desert meets the south-west. 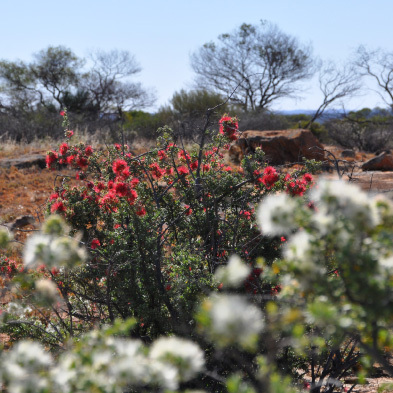 As a consequence the Reserve is an interesting ‘melting pot’ of plant species with eucalypts and mulga scrub intermingling in a rich but unlikely biodiversity. The 68,600 hectare property has ancient woodlands of York gum, salmon and gimlet with some native Callitris pine. These are complemented by wildflower-studded sand plains and dense thickets of wattle, casuarina and melaleuca shrub as well as natural salt lake systems with samphire flats. Under Bush Heritage management the property has been destocked and programs to control and monitor weeds and feral animals introduced. The result is a decidedly healthier landscape and even greater species diversity. Bush Heritage Australia is a not-for-profit conservation organisation dedicated to protecting Australia’s unique animals, plants and their habitats. We do this by acquiring and managing land of outstanding conservation value, or by working in partnership with other landowners. Established in 1991, today our work helps conserve over 8.86 million hectares of high-conservation-value landscapes. Our reserves and partnership properties protect threatened ecosystems and 5,932 species of plants and animals, including at least 239 threatened species. We take a pragmatic, apolitical and science-based approach to protecting the remarkable diversity of the Australian bush. We are committed to demonstrating leadership and innovation in nature conservation and to working collaboratively with Government, other non-government organisations, Aboriginal groups and other private landowners in those communities in which our Reserves are located. This is reflected in our major role in the Gunduwa Regional Conservation Association that’s working to promote better conservation outcomes in the Southern Rangelands. The abundance of natural beauty and extraordinary biodiversity we enjoy means the bush holds a special place in the hearts and minds of most Australians. Yet since European settlement our bush has been destroyed at an alarming rate – and with it the plants and animals that call it home. Many unique plants and animals have been driven toward extinction. 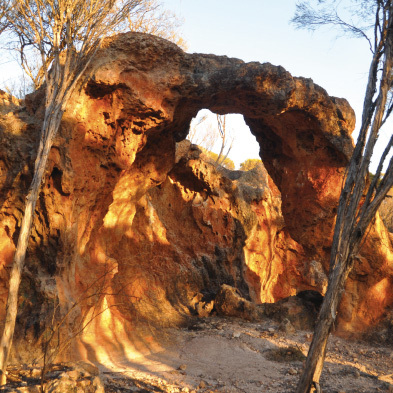 A key goal of Bush Heritage is to reverse some of that damage. Thanks to the incredible generosity of our supporters over the years we have been able to make significant inroads into conserving our natural heritage. However, there is still much more to be done if we are to bring some of our most vulnerable native species back from the brink. Please donate today so that we can continue building fences, controlling feral animals and noxious weeds, managing fire and doing all the other vital tasks that help to create healthy landscapes where native species can thrive.